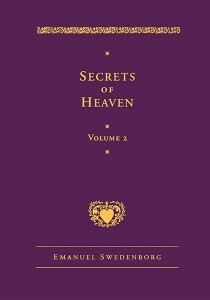 Secrets of Heaven was Emanuel Swedenborg’s magnum opus, a fifteen-volume work that delves into the inner, spiritual meaning of the Bible and lays the groundwork for the rest of his writings. This annotated Deluxe Edition of volume 2 gives new insight and inspiration to scholars and seekers alike. The second volume of Secrets of Heaven is a verse-by-verse exegesis of Genesis 9-15, beginning with God’s covenant with Noah following the Flood and ending with Abraham. In the process, Swedenborg discusses the concepts of regeneration (spiritual rebirth) and describes the way that people act before and after rebirth. Interspersed with the biblical commentary are chapters on related topics such as the lives of angels, how distance and time work in the spiritual world, and the nature of hell. This volume provides essential insight into Swedenborg’s theology. This new translation is part of the New Century Edition of the Works of Emanuel Swedenborg, an ongoing project to render Swedenborg’s theological works in clear, contemporary language that reflects the simple and engaging style of the original Latin. The Deluxe Edition includes nearly six hundred notes that give context to the translation and references for further study. An index and list of works cited is provided for the notes only; any index of the full fifteen-volume work will be held until after the translation is complete. Emanuel Swedenborg was an eighteenth century scientist, engineer, politician, philosopher, and prolific writer on scientific, philosophical, and theological subjects. Lisa Hyatt Cooper is translator of the fifteen-volume Secrets of Heaven for the Swedenborg Foundation’s New Century Edition of the Works of Emanuel Swedenborg.